Ski fitness – Preparing for the ski season. Focusing on proper ski fitness prior to your ski trip could save endless regrets when you hit the slopes. Surprisingly, for a sport that is considered to be so dangerous, the statistics on skiing injuries is lower than you might expect. Typically, there is an injury incidence rate of about 2.5 per 1000 skier days. So thankfully, as long as you don’t go crazy, you should remain injury free. However, when they do occur, skiing injuries can be particularly nasty. Torn knee ligaments or dislocated shoulders can cause years of repercussions. It is best to give yourself the best chance of staying injury free. 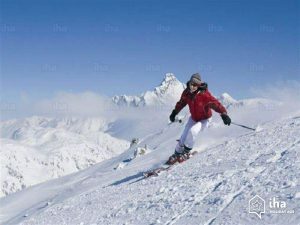 And, of course, improving your fitness before skiing will increase your overall enjoyment of your trip anyway. 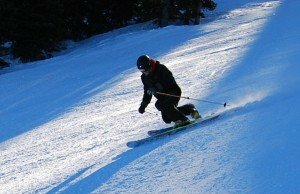 What are some typical skiing injuries? Skiing injuries are the absolute pits and can ruin an otherwise perfect time away. Not surprisingly the knees are the number one area that suffer during skiing holidays. Shoulder dislocation is another common complaint, as is concussion. But one injury that many people don’t anticipate is skier’s thumb. Obviously, good equipment and proper instruction are vital to guard against possible mishaps, but what other measures should you take? And if you are unlucky enough to get injured, what sort of treatment would suit you best?